It's so lovely to see you. Mwah! Carol is hosting the round-up at Beyond Literacy. Thank you, Carol! Last weekend, I had the pleasure of meeting up with not just one but TWO poetry friends at The National Book Festival. It was an especially good time because the three of us meet virtually for critique but had never met in person before. And, we got to celebrate Margaret's new book Bayou Song (UL Press 2018) as a Children's Choice book representing Louisiana. As you might imagine, we found poetry celebrated EVERYWHERE! Knowing Poetry Friends is one of my greatest joys. 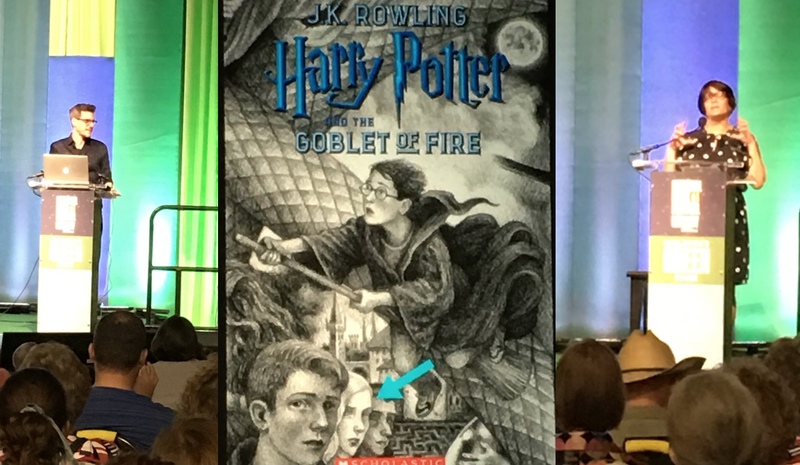 I'm so glad I got to see two at the National Book Festival. I would so love a Poetry Friday Friends Conference on the East Coast sometime. Who can make that happen for us? I could join a PF celebration in Washington DC, LInda but NYC would be grand. I saw your photo with Margaret and Heidi. I wish I was there. I really liked the reverse poem part 2. Thanks for joining in and suggesting a meet up. A reverso!!! My hat's off to you, Linda :-) I especially like "Poetry friends/need no introduction." I'm not familiar with this reverse style of poetry, Linda. Thank you for sharing these pieces. 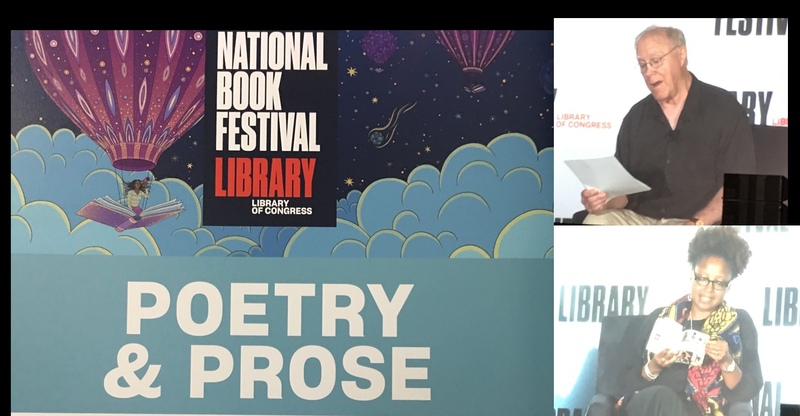 Really loved your recap of the Nat'l Book Festival. I was so excited that Margaret was invited to attend with her beautiful book. What an honor, and what an amazing event to attend! Love Poetry Friends. That's exactly how I feel about our little community here. Lovely to meet poetry friends in real life! Lucky you. I love the line 'easy breezy' - it works so well as both an ending and a beginning. It's fabulous to meet those we've known and connect to over the years, yes, years, right? I'm happy that you all got to be together. What a terrific conference that must have been. Love the reverso, Linda. And I love the idea of a Poetry Friday Conference. Brilliant! What a brilliant idea -- a PF friends meeting on the East Coast. Lots of us are near Boston. Lovely poem. Glad you met friends in person. Sounds like a marvelous time, Linda! The PF community is the best. So glad you got together with Margaret and Heidi! And kudos to you for writing a reverso (impressive!). How fun! And of course there's no better way to celebrate meeting poetry friends than with a poem. :) Hope to meet all three of you myself one day! It's always nice to meet Poetry Friday friends in person! And those reverso poems aren't easy - well done! I love your poem. I was so disappointed the National Book Festival has been moved to August. It's the worst time of year for folks heading back to school. And it's hot! At least at the end of September it seemed to be more manageable. Thank you for sharing your poem and your experience. It IS easy and breezy with you and Margaret, Catherine too, and yet all we learn and know about each other does not dull our curiosity, does not level the depths of our discovery. Blessings abound. Lucky us. That's just how it is with you and Margaret, Catherine too--the depth of our discoveries together don't level the depth of our curiosity. Blessings. Lucky us. Wonderful reverso--it captures the joy of poetry friends. I'm glad you got to meet up with a couple at the National Book Festival and share a glimpse of it for us!